Bari Lynn two-tone ponytail holder. 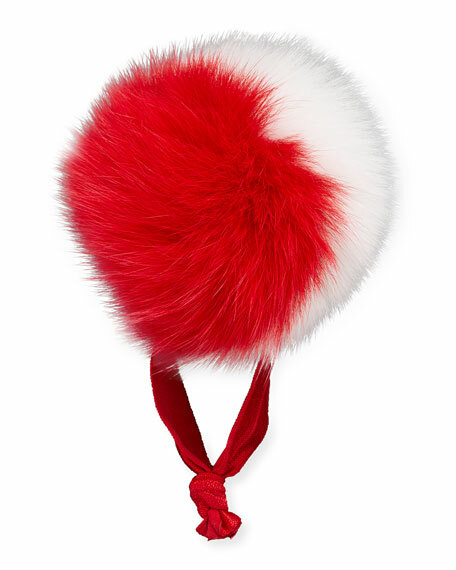 Dyed fox (China) fur pompom. For in-store inquiries, use sku #2369108.